The Theatre Royal & Royal Concert Hall Nottingham presents a compelling programme of high quality, world-class entertainment, giving unforgettable experiences to diverse audiences from across the East Midlands region. 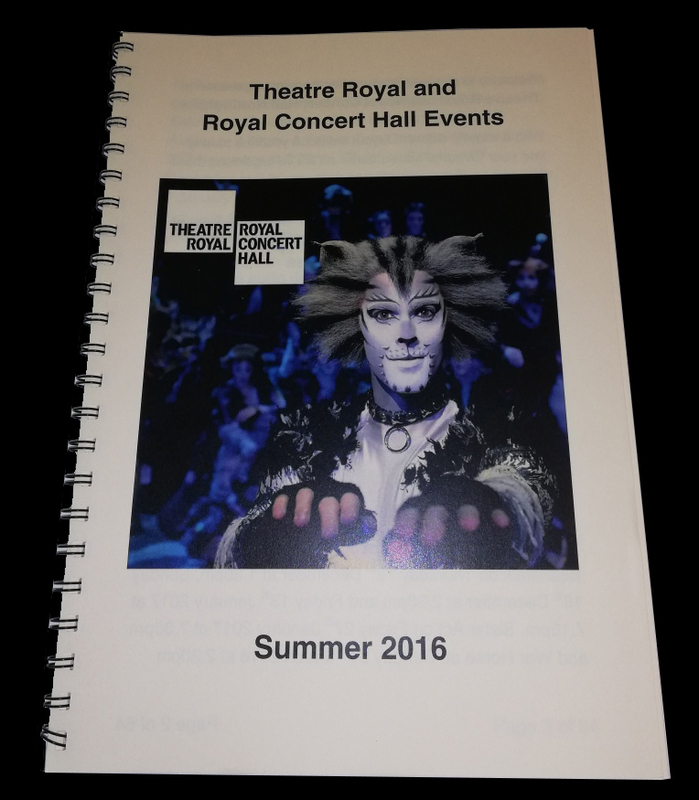 Accessibility is at the heart of the Theatre Royal & Royal Concert Hall Nottingham’s commitment to providing exemplary customer service and they are firmly committed to enabling all. Disabled people have a fundamental right to be able to participate with dignity and on equal terms as others to access their services and Pia has been an integral part in enabling them to achieve this. 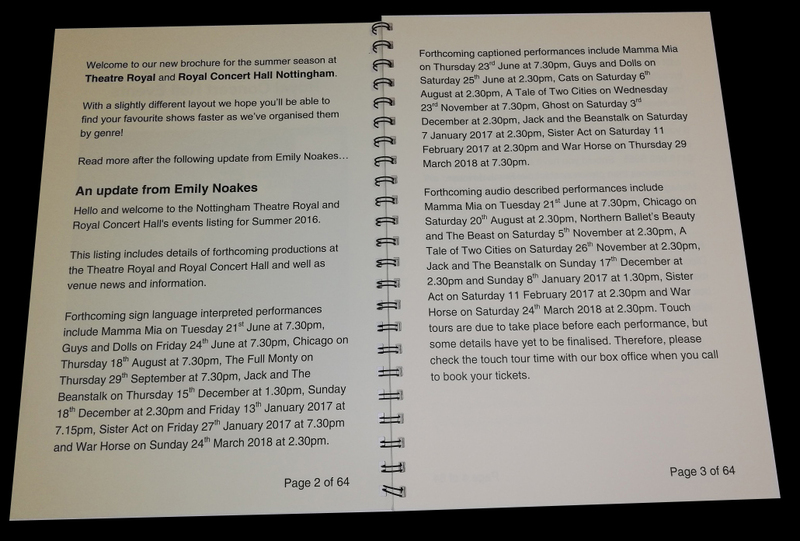 Through the creation of alternative formats of the forthcoming attractions brochure in both large print and braille, they can reach a wider audience base. 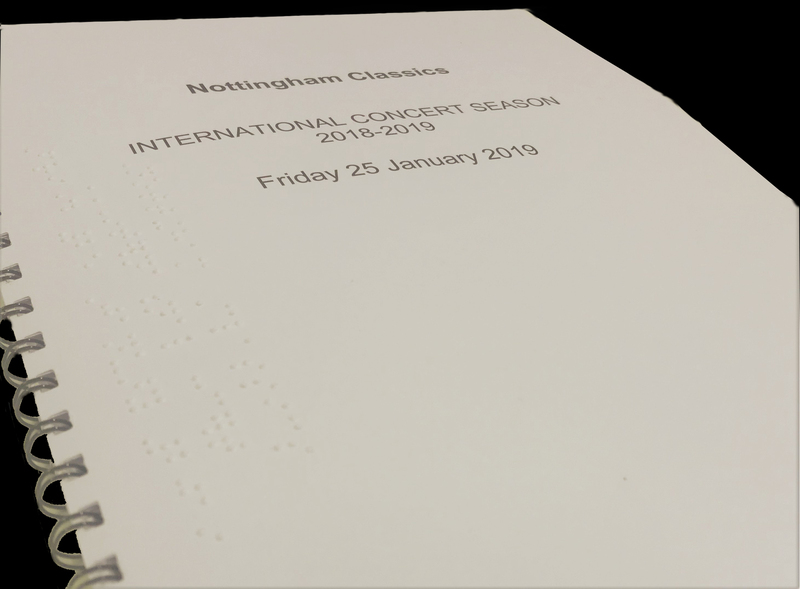 "Pia creates braille versions of programmes so that our customers can experience a fully inclusive and immersive experience when attending the venue. Their quick turnaround times, professional manner and reliability of service delivery mean we return to use their services again and again. We have customers who enjoy their annual Christmas Carol Concert as song sheets are turned into the formats that best suit our customers’ needs. We implemented a Free Access Requirement Register at the Theatre in 2014 and as part of this we have seen an increase in the use of alternative formats and Pia have enabled us to meet this new demand and uptake."